What would you do if you happened to be browsing around Neopia, only to realize you had actually won the Neopian lottery? Scream and shout? Jump up and down, much to the delight of your pets and neighbors? Dash off to the National Neopian Bank and quickly deposit it all? Or squander it all away during a moment of weakness at Kauvara's Magic Shop? I would hope it's not the latter choice, as that would be no fun at all! Well, it WOULD be fun at the time, I suppose, but once the initial excitement wore off and you realized exactly what you had just done, I'm sure you'd be quite displeased with yourself. I play the Neopian lottery only on days I remember, which, to be honest, is not very often. Sometimes I will have a guild challenge that requires me to purchase the full amount of twenty tickets, and other times, while browsing user shops, I will end up getting a random event giving me a free ticket. Like I mentioned before though, that is not very often those things happen. There is an old saying I've heard, especially from the people around my NeoHome neighborhood, that says "You can't win if you don't play!". And let me tell you, it is one hundred percent true! Think about it logically for a minute. If you play the Lottery, your chances of winning might be slim, but there is still a chance. If you do not play at all, your chances of winning are literally ZERO. I think I'll take a slim chance over no chance at all. If I ever got into a routine of regularly buying the max amount of lottery tickets every single day, my chances of winning the jackpot would increase drastically. I find myself wondering about the "what-ifs" quite frequently as of late, especially with being so close to my neopoint goal for this year. I do play other games to bolster my bank account savings, but it would be nice to win the jackpot! If by some miracle of Fyora I won the Neopian Lottery, there are a lot of things I would do with the points. Obviously, I could buy quite a bit of items with it, but that wouldn't do me much good. I would end up right back in the same position as before. I could decide instead to just hoard my winnings, but where's the fun in that? Why make money if you never spend it on anything? Or, I could donate it all to the Money Tree, but let's be realistic. That's not going to happen. No, I have a much better idea! A few of them, actually! First of all, I would put at least a quarter, more or less, of my winnings into my bank account partly for safe keeping, as well as for future expenses like paintbrushes, new petpets, or new clothes for my pets. As most of you know, pets come with a few expenses, especially if you decide to train them. Dubloons? Pffft....those are cheap. Codestones on the other hand, mainly the red ones, can cost you thousands or even millions of neopoints by the time your pet reaches the stats you desire. What is the purpose of all that training if you can't afford a shiny new Battledome set to make sure you're truly unstoppable? The next thing I would do with my gains would be to invest as much as reasonably possible into the stock market. While this in itself could end up being quite risky, with enough hard work, patience, perseverance, and determination, it could prove to be yet another large source of essentially free income. Is it time consuming? Yes. Is it worth it? In my opinion, yes. Yes it is. My winnings would also allow me a second source, aside from my bank account balance, to use for betting on the pirates in Food Club. While I do fairly well just using my balance, I feel like using my potential lottery winnings would take the sting out of the few losses I do encounter from time to time. I could also buy Nerkmids for the Vending Machine in the hopes of winning a Paint Brush that I could sell. I don't particularly care for that idea, however, as there is sure fire way to tell how long it would take to win a paint brush, not to mention how long it could take to sell and see a profit. In addition, I would use my loot to bolster my Stamp and Neodeck Card count. There are still quite a few buyable stamps, shells, scarabs, charms, and cards I need for my collection. While I'm off looking at all the pretty collectible items, I might even stumble across a few things I want to add to my “Random Stuff I Like” themed gallery! Lastly, I would use the remainder of my neopoints for charity. 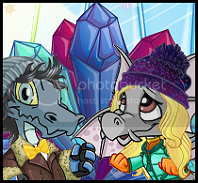 Whether buying holiday gifts for my many NeoFriends, donating a portion to the Money Tree, or just plain granting other Neopians their dream items, I would just not feel right unless I used at least some of my prize money on other people. I mean, if other users didn't buy Lottery tickets there wouldn't be a jackpot, right? I believe that giving to others is always a good investment, and truly, money well spent. If you put good out there, you're more likely to get good things in return, even when you're not expecting it. Well folks, there you have it. If I were to ever win the Neopian Lottery Jackpot, not only would I save some of the winnings, I would also invest in the hopes of growing my NeoPoints, spend a portion on my collectibles, and lastly give back to my fellow Neopians in the hopes of spreading some good cheer. Now, if only there was a potion at the Magic Shop I could drink to make me remember to play every day, I might possibly end up ACTUALLY winning the jackpot someday!